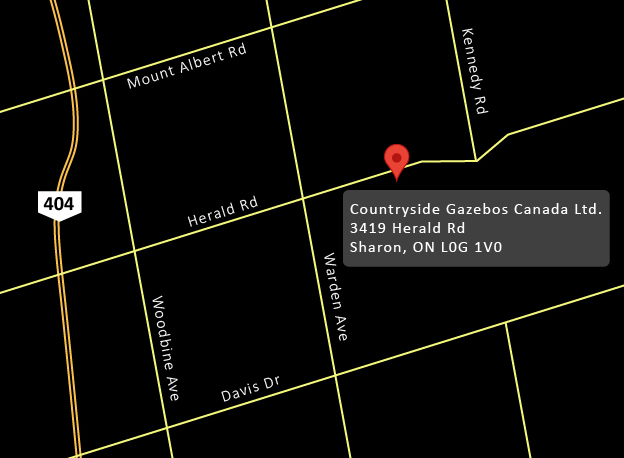 Are You Looking to Buy a Gazebo in Ottawa? Countryside Gazebos Canada is pleased to offer beautifully crafted, custom gazebos in Ottawa. We are known for our high quality materials and, craftsmanship, As well as our outstanding personal service. We offer wooden and vinyl clad gazebos in Ottawa. Gazebos are available in a variety of sizes, and can also be custom created if one of our standard sizes does not match your requirements. We recently came released a new gazebo design called "The Grande" and that is just that - Grande. It measures 28 square feet with 110 feet of pergola extended on each side. It is perfect for parks, recreation centers, specialty homes, golf courses and vineyards. Our commitment to you- is perhaps our most 'Grande' offer. We have worked hard to build our reputation for keeping customers happy and always strive to ensure our personal service is second to none. 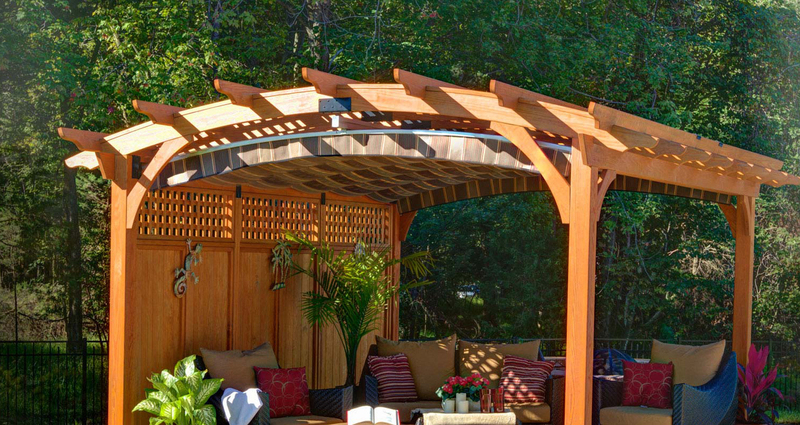 All our gazebos in Ottawa, and nationwide, are built to last many years and have a warranty to match. Our online visuals will give you creative ideas and allow you to choose the type of gazebo you would like, and our quoting system will allow you to get a quote on your perfect gazebo in Ottawa. If you have any questions or would prefer to speak to us directly you can contact us at 905-841-0612.